It’s not often, but sometimes you need to type in all uppercase characters. On the Kindle Fire you can hold down the Shift key, but that gets annoying after a while. 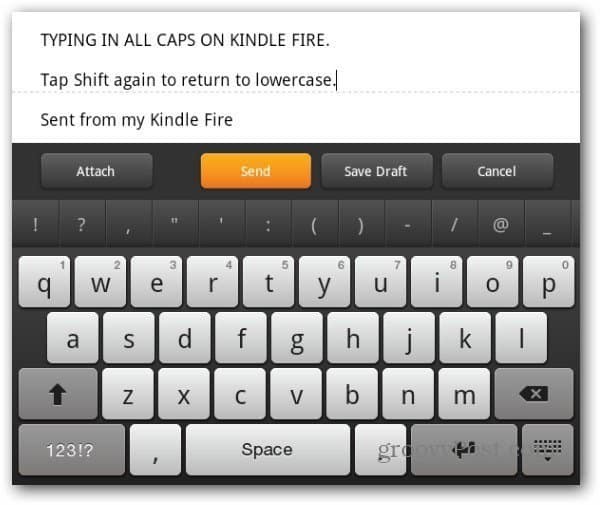 Here’s how to access the hidden Caps Lock key on your Kindle Fire. 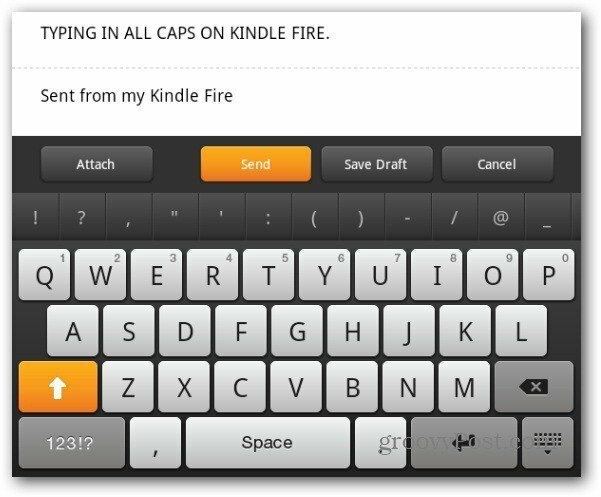 Open a document or email on your Kindle Fire. Then to access the Caps Lock key, double tap on the Shift key. It will turn orange indicating you’re in Caps Mode. 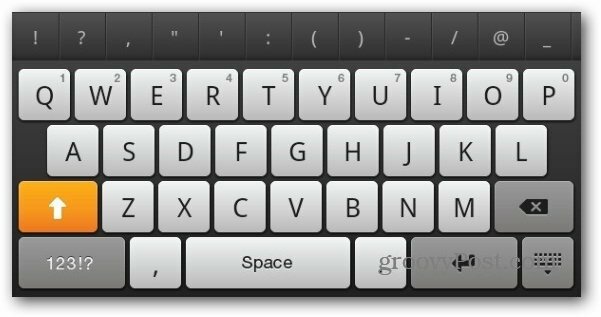 To get back to lower case, just tap the Shift key again. This web site is really a walk-via for all of the data you wished about this and didn’t know who to ask. Glimpse right here, and you’ll undoubtedly uncover it. This does not work on the kindle fire HD. Any suggestions?